As a Christian minister and counselor, I have worked with some incredible and brave souls who have survived intense childhood emotional, physical, sexual, and spiritual trauma. The souls I work with have survived having their consciousness deliberately partitioned into many identities for the sake of mind control and spiritual abuse. Most of you by now are familiar with ritual abuse from dark societies and the black arts. What I am going to discuss now is the subject matter of Christian spiritual abuse, and the effects it has with adult survivors working on their inner healing. 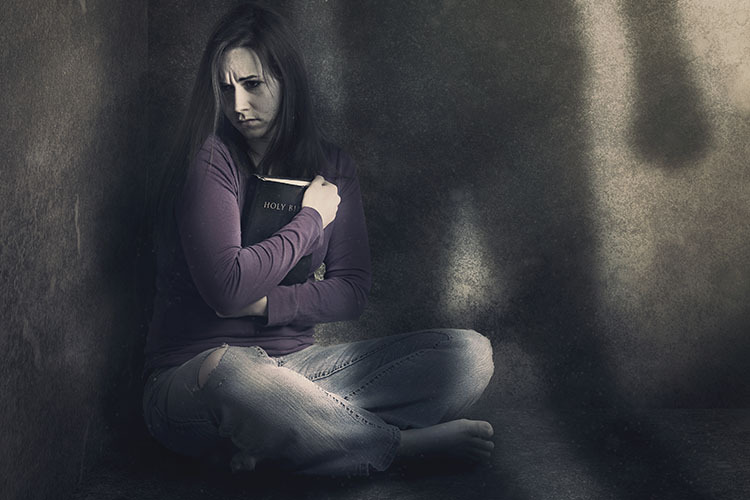 Christian spiritual abuse has many forms, but I want to hone in on a few I have encountered. There are the cult, the occult, and psychotic forms of Christian spiritual abuse. One of the most common I have seen is with children survivors, now adults, of the "train up your child" method of child-rearing. This is where excessive violence was used in raising children under the guise of mind control. There are two form factors for this occurring. One, the family is actually programmed with Satanic ritual abuse, and the duplicity programming involves violent abuse on the children in the family. Second, there is a psychotic factor, where the spouses were darkly attracted to one another by their hidden behaviors, and sadly got married and had kids. Neither of these cases is easy to identify, and in most of these, the parents were exemplary pillars in the church and society. Completely concealing what was going on, behind closed doors at home. Personally, I believe there is still a strong tie of Satanic ritual abuse through all these but is difficult to prove. What I want to elaborate on here is how the adult survivor perceives Jesus. First and foremost, in any form of spiritual abuse, the knowledge and perception of Jesus Christ is internally twisted. This is the primary form of mind control consistent through all spiritual abuse cases. A false Jesus was established in their system of mind control programming, either through a person perpetrating the abuse or the torture to the person, identifying themselves as Jesus or through cleverly manipulated scripture to implicate nothing but wrongdoing and damnation to the child enduring the abuse. In all cases, the Christian spiritual abuse is reinforced with either physical violence or the overhanging dread of going to hell for not doing a chore properly. When scripture is read to the child it is always damning and hurtful. This is a form of mind control programming to establish a false Jesus. False Jesus is the Jesus these tortured souls identify with, to them, he is a perpetrator and punisher. False Jesus cares little of the individual or for the siblings in the family. During intense mind control programming, the child even calls out to Jesus for help. The slave master, which is what these parents are, reinforce the torment with Jesus isn't coming because they're damned. These children were usually beaten and tortured as well. Families tend to cover up medical situations and bruises. Because of these internal policing actions, the child is raised to believe the lie there is no help outside the family for them. Aunts and Uncles, whom I believe are involved in some manner won't take the children into their homes, for fear of stirring up bad allegations in the family. Working on inner healing is tough in these cases. Primarily because of the presence of the demonic false Jesus. I am using the term demonic because it is what it is! What I am not leaning toward is any form of deliverance for these individuals. Deliverance in cases like ritual abuse and dissociated identity disorder only make these souls worse off. If you're familiar with my ministry background, I work with severe dark cases of the occult and true demonic possession. I am not one against deliverance ministry. Deliverance ministry is not effective in inner healing. You must know the difference between what is inner healing, and what is demonic. Many churches are so deeply embedded in their own deliverance doctrine, they can't discern any spiritual situation. They sure can talk convincingly, but at the end of the day, they aren't walking in the compassion of Jesus Christ and they're exercising their own methodologies from the Tree of Knowledge of Good and Evil. Never ever do deliverance or sozo (or even Theophostics for that matter, because dissociated parts are smart and know how to manipulate methodology) on spiritual abuse survivors. They need to be walked out by the creator Jesus Christ for their inner healing. Keep in mind, a survivor of spiritual abuse will not go voluntarily to a deliverance ministry. They don't trust Jesus. Overzealous friends, or even their duplicitous parents brought them. The failure at the deliverance ministry reinforces their false Jesus hopelessness mindset. Deliverance ministers be aware of this! Now back to the problem of the false Jesus. The survivors I have worked with, who are making great inroads in their inner healing, have accepted and work with the Jesus Christ of the Gospels. This means they have reached a point in their inner healing where they can sit in the presence of God. It took a lot of work to get these souls to the place where they finally opened their heart to their real creator and the God who loves them so much. Jumping from the false Jesus to the Lord and Savior, the resurrected King, is a big chasm to cross in this ministry. It's a hard walk out, and the decision is ultimately between the individual soul, the primary Christian part of that soul, and Jesus Christ, in His timing. We know from Revelation 3:20, that God stands at the door of our heart and knocks for us to let him in. In John 6:44, the Father draws these souls to Jesus. Because of the depth of false Jesus programming, it seems like the Pharaoh of Egypt, who came against God and Moses, had a lesser hardened heart. This may be true, but it is not beyond the healing of Jesus Christ. He came to heal the brokenhearted. It's just that we as a church, can't fathom the depth of satanic pain inflicted on some of the body of Christ. Here's where my comments get harsh but are required to come alongside the healing of these fractured souls. As adults, they have hundreds to even thousands of child parts inside of them reliving the pain and torment over and over again. The adult, Christian presenter, must pick up their mat and walk, just like the invalid in John 5. It is Jesus who brings healing to their shattered consciousness and not us. This takes some time, a magnitude of years sometimes, but some souls do come around and open their hearts, mind, and pain to their true creator, the one who loves them, Jesus Christ. It has to be an adult decision to step out of the prison cell that has no door, but a chalk line reinforced by fear not to step over it. Much of the process for the minister is to unravel the scriptural lies and duplicity placed in there by their programmer. As the wall of lies is torn down, more truth slowly flows in like a stream. The Holy Spirit can start bringing in truth. When this takes root, we see a lot of identities going to be healed by Jesus. It can take years of ministry to get to this point in healing, where the Holy Spirit may just show up during the day or in a dream, and take a few parts off to get healed. This showing up is synonymous to the depth of prayer life the Christian presenter has developed. This happens because the soul has opened their heart and mind to Jesus. Those parts that have been evangelized or witnessed healing by Jesus during sessions would like to be healed as well. As you can see it's all based on free will of the soul and the free will of the fractured parts. Jesus never stops knocking. He continues chasing and ministering to the parts. Outside of sessions as well. But there was a lot of work to get to this point. A minister needs to understand the demonic fingerprints of the occult, fractured souls, be able to work with the Holy Spirit and have no agenda. And must be able to share the Gospel in the darkest facets of spiritual ministry. The greatest challenges are with those souls whose primary Christian presenters chose not to accept Jesus Christ. What I have seen is that these souls have chosen an identity for themselves to reflect their woundedness. They may have a paper-thin Christian presenter that relinquishes to a "control part (identity)" that wants the attention of "being broken". When brought to their attention, they will emotionally explode at you, "Do you think I want to be like this?" It's a controlling move from a control part to control you and the session. Call what you see. If you watch them in a social setting, they will move around and work a room from a relational state of brokenness to garner attention. In this case, they are choosing not to heal. They're rejecting God's healing. This is the "pick up your mat and walk" case. Nearly all abuse survivors will have this. It is critical for the Christian presenter to choose at some point to follow Jesus. Remember, some of us were raised in healthy Christian environments when we grew up and received Jesus literally through osmosis. But at some point, we had to choose to accept Jesus as our Lord and Savior. A spiritual abuse survivor was raised in a toxic anti-Jesus (false Jesus) twisted rule-based emotionally, physically, sexually, and spiritually abused environment. But these souls too, need to decide if they want Jesus Christ as their Lord and Savior. Sometimes, we need to do a catch and release on these souls. We can't push them to Jesus. We can give them knowledge of Jesus and His Gospel, and we can share His love and compassion. If it is flat out rejection, then this is not the time for this soul's healing. Turn them loose and give them instructions to work on opening their heart for Jesus. Many times these souls are looking for a quick fix and will wash up on the shore of a deliverance ministry promising them instant healing. I don't want to say the healing never happens in this manner, it could -BUT only if the soul is ready. The sad truth is, too many times the soul never understands what is required of them to be healed. I have worked with too many souls who think God is angry at them from for not healing them in deliverance prayer ministry or sozos. It requires a dedicated effort on their part to be healed. They need to pick up their mat and walk. Open their hearts to Jesus, and develop a prayer life. To quote an old mentor, "Never get ahead of someone's healing". If they're not open to receive Jesus, just keep working where you can. Sometimes, if the soul is on the fence, God will do something miraculous to demonstrate His presence. But he only does so if the soul got themselves to the fence. Make sense? There is so much I can write on this topic. But I will keep this limited to the false Jesus discussion for now. Hope this brings some revelation. Especially to someone who is struggling with an inner false Jesus. You can't do it alone. You need a Christian counselor who understands spiritual abuse to help you walk this out. It takes time, but much of the effort is involved with spending time with Jesus and unpacking the truth of the Gospel. John Paul Jackson wrote in his book, Needless Casualties of War, that engaging spirits in the heavenly places was like throwing hatchets at the moon. Do intercessors overstep their bounds and battle in places they don't belong? Several years ago, I used to give spiritual warfare talks at a local bay area church conference. At the end of my talk, a local Asian pastor of a home church pushed his intercessor up through the attendees at the conference and begged me to help him. His intercessor manifested spirits immediately and this was a situation where I was warned by the PhD running the event that I was only allowed to give the rated G Disney version of deliverance ministry in my presentation. Well, now there was a manifestation and there was no putting the genie back in the bottle, so to speak. My wife and I discerned the intercessor went after a regional spirit. The intercessor confirmed she did, and was left with a nasty oppression demon. We did prayers of liberation and the woman was set free. 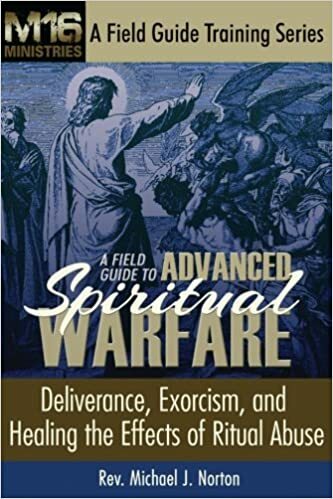 The event was an interesting public example of over stepping ones bounds in the spirit realm and how the higher ranking evil spirits can respond in warfare, and dispatch a low-level demon to oppress and afflict the soul..
Part III in our discussion on Christian Authority and Dominion in spiritual warfare. In this installment, I provide the framework on prayer posture and authority in heavenly realms. According to scripture the heavens belong to Jesus. I call out dark angelic choirs as defined in Ephesians 6:12. In this talk I also discuss basic forms of petitioning prayer as it is presented in scripture. Do Christians have spiritual authority in the heavens? Can you bind principalities using your spiritual authority? How do you know if an attack is coming from the heavenly places? We'll take a look at what scripture tells about battles in the heavens. Can the average lay Christian expel a demon? Where are instructions found in the Bible to cast out evil spirits? Are there limitations to our spiritual authority with demonic spirits? Do you have to be a Christian to cast out spirits? M16 Ministries was founded in 2009 as 501c3. During this time God has brought numerous and crazy battles to the ministry door step. From the get go, God hurled me into a Mark 9:29 type of ministry. As a street minister working with the drug addicts, homeless, and prostitutes,on the streets of San Francisco with Night Strike ministry, I have seen a lot of the occult and the supernatural. Some stuff so freaky, I literally had some street ministers never return to Night Strike. During this time I have met a lot of severely demonic afflicted souls, fractured souls, and survivors of the occult. In my years, I moved away from calling myself a deliverance minister and am now simply a minister of God. Why? For one, it's what we're supposed to do, according to Luke 10 (see the training). Second, in my 10 years I have watched deliverance ministry turn into a Vegas side show run by prideful ministers. This isn't the deliverance ministry Jesus gave us, its a circus version that proliferates bad teaching. Some deliverance ministries have even become doctrinal, which in itself again is something very bad. Many ministries are not even grounded Biblically anymore in their teachings or practices. For instance, where in the Bible does it instruct people to cough out a demon? When I work with individuals who have issues other than demons (i.e. behavioral), they insist their issue is demonic and proceed to do the cough in front of me to prove their issue is demonic. These are poor souls who have been conditioned by Vegas deliverance ministries. Let's take a look at the Biblical approach to casting out demons. In Part II, or this 3 part teaching, I go through the scripture to demonstrate how Jesus instructed us to expel low-level demons - deliverance ministry! I present to you, the video for this installment. Several years back, M16 Ministries used to go New Age expos and do prophetic ministry with the New Agers attending. One particular woman I worked with sat down and I prayed to God for what God would like to share with her. God told me that she was having a horrible situation at home with her spirit guide. She was at first mortified that I knew about the spirit at home, and second that it was her 'friendly spirit guide' behind all the spiritual activity in her house. We're usually covert at these expos, but I leaned into the woman and told her, "There is power in the name of Jesus, go home and renounce your spirit guide and tell it to leave in the name of Jesus!" She was dumbfounded and responded. "You're a Christian?" This revelation allowed me to share who Jesus is with her. I never saw her again, and I know at that time that was the piece of information she needed to here from a covert evangelist, that Jesus is real. Which probably allowed her to open up and seek conversations about Jesus. Now, two things here. One, there is power in the name of Jesus, second, when Jesus completed the work on the cross, He restored dominion and authority to all mankind. The dominion we have is over the earth. God created us to co-rule with Him. Jesus gave mankind spiritual dominion over the earth when He created us. In this installment of A Field Guide to Spiritual Warfare the Blog, we look at the Christian dominion God gave us. And we look out how our dominion ties in with our spiritual authority. This topic can be exhaustive and like a PhD dissertation. I kept it to the bullet points. I originally intended to outline both our spiritual authority terrestrially and in the heavenly realms, but in the end, because of the amount of information I am breaking these up. This is the first installation of a two part series on Christian Dominion and Authority. In part 1 I will outline our boundaries of our spiritual authority within our God given dominion. During my M16 Ministry sessions I frequently run into Reiki healing that has been brought into the church or is being practiced or used by Christians. Reiki is New Age spiritual healing that is falsely advertised as not being spiritual. When in fact it is channeling of energy. The deception is in where is this energy is being channeled from and how it is being guided. In that sentence alone we touched upon some buzz words. Here is what you need to know if you're practicing or receiving this form of healing. In this installment we get to travel local to the M16 Ministries neck of the woods, San Francisco. 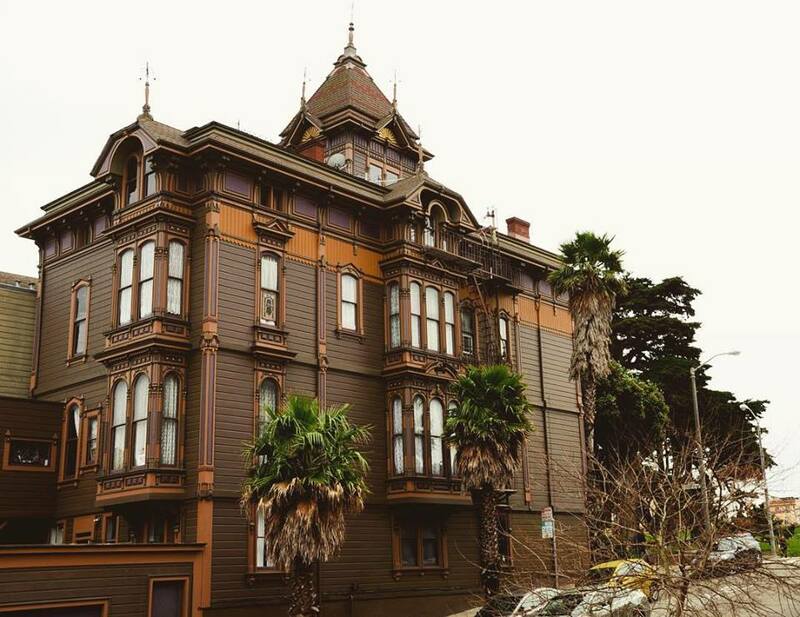 Where the Ghost Adventures crew brings their follies to the historical Westerfeld mansion, located near the psychedelic the the district of the Haight Ashbury. The location of the summer of love of 1967. The site was full of addictions, mind control, and some very dark characters like Anton LaVey (the church of Satan),Charles Manson (Helter Skelter Manson murders), and Jim Jones (the People's Temple). The GA team goes to the Westerfeld mansion and reviles spirits and irritates the forces of darkness.This episode paints an interesting picture of the spiritual atmosphere in this area. And some the spiritual craziness we've encountered on the streets during ministry. 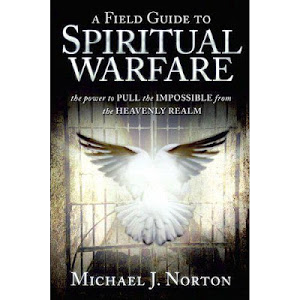 Some of which is documented in A Field Guide to Spiritual Warfare. Let's roll the video for AFG2SW blog for November 12, 2018. In this installment I address the blatant satanism that is creeping in more and more in each episode of the Ghost Adventures. At first it appeared to be for ratings, but now the GA team has been dabbling long enough to know they're involved in full fledged satanism. The Museum Live investigation episode that aired on Halloween completely supports this notion. Zak brought and gave legal grounds for a satanist witch to perform 24 hours worth of rituals for conjuring pure darkness (i.e. evil). He played ignorant in the show. But he knew full well what he authorized and carried out. These were pure satanic rituals on live tv. This is dangerous. In the my blog entry, I identify the dark finger prints of satanism throughout the broadcast featuring the meeting of a so called white witch with a satanic priestess.